A Seaview sailor will be presented with one of the Royal Yachting Association’s most prestigious awards by HRH the Princess Royal, President of the RYA in recognition of her commitment to Sea View Yacht Club. 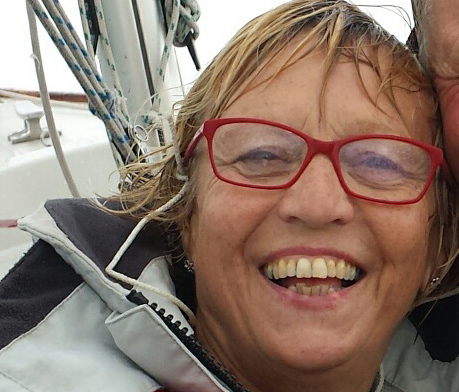 Suki Pountney has been nominated for a Lifetime Commitment Award by her club and has been selected as a winner by the RYA Honours and Awards Panel. She will receive her award at the organisation’s annual awards ceremony in London on 21 November. Although resident in Leatherhead, Suki spends as much time as she can in Seaview. She has been Handicap Fleet Class Captain at Sea View Yacht Club for 13 years, fulfilling an important role in nurturing the club’s young sailors from novices to more competent sailors. She has raised significant funding to help this promotion, including organising the club’s annual Handicap Dinghy Dance, an event supported by over 200 sailors. She has used funds to purchase three club dinghies and a 4.3m RIB for safety cover. Suki’s enthusiasm has extended to the wider local community too. With the club’s ‘Commodore’s Cadet’ scheme, in line with the RYA’s OnBoard programme, Suki helps introduce sailing to local young people. She has also been active in raising funds for the local Sea Cadet Unit in Ryde. It is testament to Suki that she has now passed a role that she managed solo on to three people such is its scale.